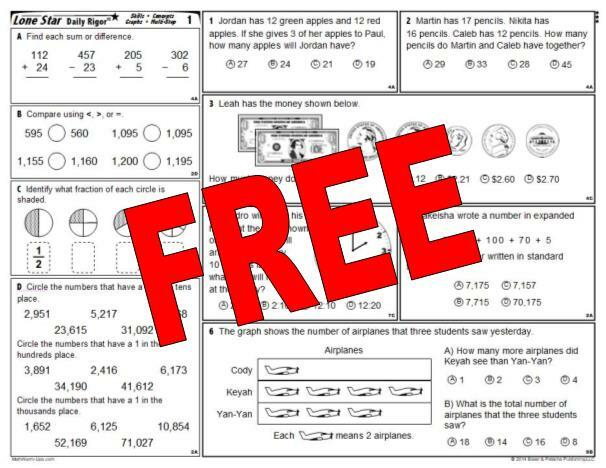 This is a FREE trial download of the NEW 3rd Grade Lone Star Daily Rigor 2014 to get a real-world demo of the product. This is a the first 7 pages of the 80-page set. You will receive a link to the sample once you "checkout". There is no charge for the sample or shipping for this download.